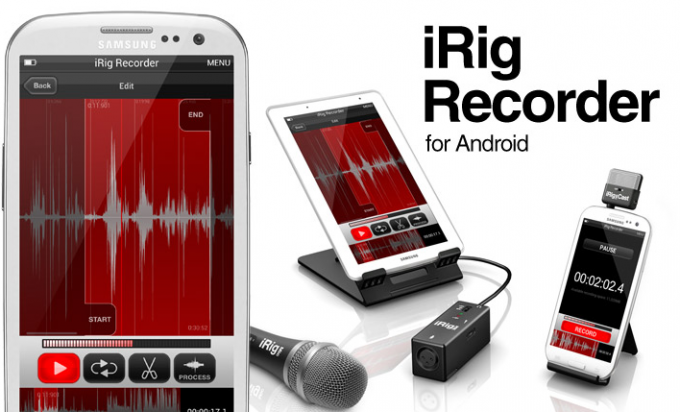 IK Multimedia has announced that the iRig Recorder app is coming to Android. iRig Recorder is a great and ultra-portable way to record audio on the go, and editing and export options make for a powerful piece of software. Combined with their hardware — 3.5mm compatible microphones and a 3.5mm to XLR conversion dongle — you can get near professional quality recordings saved right to your Android device. This is great news for musicians and anyone doing field work that requires high quality recording. Accessory companies have been notoriously slow to embrace Android. It’s great to see companies that want to support the most popular computing platform in the world. Look for the iRig app in Google Play at the end of the month, priced at $4.99 for the full version.